See below for palm tree information. The articles below discuss species and groups of palms, palm culture, selecting palm trees for your garden, plants (currently) offered for sale at our nursery, and many other topics. The column to the right list these articles in groups for quick review. Articles listed below are written by either Phil Bergman or Jesse Bergman with the purpose of educating people about this great group of plants. Some may have been published in a variety of plant journals or publications elsewhere. What Plants are On Sale Right Now! Comprehensive article on conserving water and still creating and maintaining a lush tropical garden. Read article. PALM AND CYCAD BLOG: New Plant Arrivals! This feature takes a lot of staff time and is updated every few days with specials, rare plants and cultural information. It's a "don't miss feature of this website". New! Rhapis humilis, the Slender Lady Palm. Article about this unique, tall and sun tolerant species that can be used outside or in the home. Click to Read More. New! The Best Palm Tree Species for Southern California - Slide Show. Photos only, no narration on species. Click to see slide show. New! The Palm Tree Encyclopedia This new part to the website was created to make it easier for the reader to search for articles on palms by either the common name or scientific name. Click to see both lists and read about palms! Short article about the Cuban Royal Palm with lots of photos of the species and nursery plants available. Cultural information given as well as photos of other species. Click to Read Royal Palm. Short article about the various types of Butia capitata with mention of other species and hybrids. Click here to read about the Butia palms. New! Photographic tour of the famous garden of Mardi Darian in Vista, California. The Palm Society in July, 2015 visited this garden. To Visit, click here. New! The Areca Palm, Dypsis lutescens - A Short and Concise article on this species. See Now! Introduction of our staff members as of 2014 - 2015 Click here. This is a great place to start. It lists about 200 of the most common species of cultivated palms, showing basic information and photos of the species. This article describes what a palm tree is and describes each part of a palm tree. It's a fiarly comprehensive article with photographs of different types of palm. Read What is a Palm Tree? Two to three minute video where JM Staff show you some of their favorite species for sale. Informative and fun. Video Tour of the Entire Jungle Music Nursery! 12 minute video by Rusty of all of our growing areas, lots of cool plants, our shipping technique and the educational center. After six months work, take our new video tour with rusty of our display garden. See what your garden can look like. Comprehensive article about all the six different species of King Palms their culture and how Archontophoenix can be used in the landscape. Short and quick article on the Dypsis lutescens with photos. Easy to read article describing the taxonomy and structure of palm trees and their usage in landscape. Tells you "what is a palm tree". Quick pictorial article showing how diverse the appearances are of various fan palm leaves. Pictorial article on the multitude of palm flowers, fruits and seeds and how to select viable seeds and know if the seeds you have can germinate. A comprehensive article discussing all aspects of planting a palm with emphasis on species selection, soil types, drainage, acclimation, watering and fertilizer. 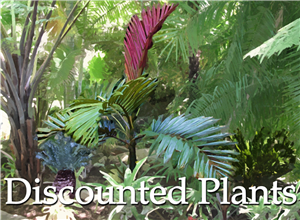 Clicking here will instantly show you new palms, cycads or tropical plants we are offering at our nursery. Some specials will be given. This will change with new additions every few days. Popular and requested species will also be shown. This fairly comprehensive article talks about the characteristics of this genus, its usage in landscape and culture, and gives photos of many species. Article about Bamboo Palms, their characteristics and care, usage in the home and garden, and which species are the best choice to use. This is a comprehensive article about the Date Palm and the Phoenix genus with emphasis on the most popular types including Phoenix dactylifera, canariensis, and others. It includes pictures, cultural information, descriptions, etc. This article deals with the design and creation of a tropical garden. Discussed are factors of density,canopy, species used and companion plants. Lots of pictures. This article walks through all the steps of creating a palm garden through purchasing your property to maintaining your plants. Basic guidelines for successful palm tree planning, acclimation, planting, maintenance and cultural care.. Also learn about special problems with growing palms and reasons why palm trees can die. Click here to to read this article. A comprehensive article on creating a palm garden, starting with the idea of wanting one, learning the species, creating the garden and finally having the garden of your dreams. Lots of pictures. Have you just purchased a plant from a greenhouse or shade house? This article tells you how to adjust the purchased palm to your environment, thus eliminating burn to the leaves. All palm enthusiasts will grow plants in containers. This article concentrates on information about growing palms in containers. Also discussed are plant repotting recommendations, potting soil mixtures and cultural requirements. Find a solution for watering, fertilizing, sun/shade, cold protection and pruning problems. Now that you have begun purchasing your palms, this article talks about how to place them in the garden. It discusses common mistakes, shade problems, space requirements and other topics to consider when laying out your garden. This article deals with basic greenhouse culture of palm trees, problems that can be encountered with your palm trees, special requirements for greenhouse grown palms, and other topics of interest on the subject. A quick introduction to fertilizer. General do's and don'ts about fertilizing. A summary of important points to consider when germinating seeds. Germination techniques, procedures, recommendations and creating an ideal environment for germination and growth.. The difference between a "universal soil mix" and formulating a soil mix that meets the needs for your palms. Also includes potting soil recipes used at Jungle Music Nursery. General information about various spiny palms that can be grown outdoors in Southern California. An introduction about germination, growth, cultural observation of palms native to Lord Howe Island. Comprehensive article on this colossal palm with its huge, thick trunk. Lots of photos and information on culture and growth. Ten minute video of this unqiue hybrid palm. Shows "hooks", "folded leaflets" and comparison to regular Butia, Blue Jubaea and regular Jubaea chilensis. Allow time for download. Article about this popular garden and house plant, including its characteristics, culture and usage. Lots of photos. General information and notes about my experience with palms native to New Caledonia. Brief notes created in 1998 on various Madagascar Palm species. These are derived from Palms of Madagascar by J. Dransfield, et. al. and from our own growing experience. It's like a quicker primer of the Malagasy palms. This is a gorgeous silver blue fan palm from Madagascar. This article deals with characteristics of the species, culture and cold hardiness. A discussion of palm trees for indoors; palms that can be successfully grown as houseplants. This articles helps you decide which palm trees can tolerate the cold you experience in your area. It talks about learning how cold you really get, being realistic about your expectations and then logically selecting the best species for your garden. Photographic links included. Caryotas Palm Trees, Did You Know? Article on Caryotas palms (the Fishtail Palm tree), and their culture. I Want To Sell My Large Palm Tree! Do you have a large palm tree you want to get rid of, but don't know how? Find out how to successfully sell or remove your unwanted large palm. Why Choose Fan Palm Trees? Explains to the reader the characteristics and unique features of a fan leaf palm. Also discussed are the many types of fan palm trees and reasons why fan palms should be part of every palm enthusiasts garden. 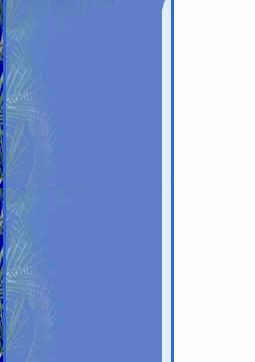 To see pictures of the palms look to the margins and on species in blue print, click the link. New to the website is a dynamic feature that gives viewers a quick resource on palm tree care and common names. We've included about 200 species. With a "quick click" you can get most of the information that interests you. Listed are the scientific and common names (if one exists), cultural requirements for each species, photographs, hints as to successful growing, and other interesting data. Information about certain palm tree species that are generally accepted as fast growing. Many customers request a palm that does not get tall. Their concerns are that a taller palm will obstruct a view, be more work in maintenance, or just be out of proportion to their location. Or, they just aesthetically prefer a shorter tree. This article covers full and partial sun palm trees for hot, dry desert environments. In this article you will learn which palms will grow in your area and their cultural requirements. A comprehensive article about the Pigmy Date, it's morphology and characteristics, culture, use in the landscape, diseases and tendency to hybridization. Article on the usage of colorful companion plants with palms in the garden. Explanation of the "gallons" sizes used in West Coast nurseries; How big they are, sizes of these pots and photos of each pot. Articles on palm trees listed below. For cycad articles, click here. Cycads in the Landscape, (four part article with photos).